It was a jam-packed show. Here are the highlights!!! The process banks used to foreclose on properties leading up to the foreclosure freeze was “inexcusable,” according to an Obama administration official. 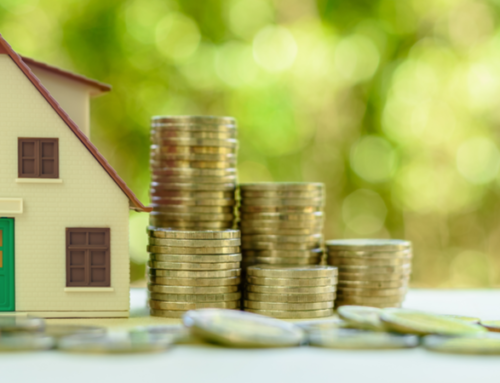 Michael Barr, the U.S. Assistant Treasury Secretary for Financial Institutions, spoke in front of the Financial Stability Oversight Council this week to summarize the findings of regulators’ probe into the nation’s mortgage foreclosure industry. “The bulk of the examination work to date focused on the foreclosure process has found widespread and, in our judgment, inexcusable breakdowns in the foreclosure process,” Barr said. McLean, VA – Freddie Mac (OTC: FMCC) today released the results of its Primary Mortgage Market Survey® (PMMS®), which found that the 30-year fixed-rate mortgage (FRM) and the 15-year (FRM) edged up slightly this week. The 5-year ARM also rose, while the 1-year ARM fell a bit from the previous week. WASHINGTON (AP) — New home sales tumbled in October while the median home price dropped to the lowest point in seven years. Sales of new single-family homes declined 8.1 percent to a seasonally adjusted annual rate of 283,000 units in October, the Commerce Department reported Wednesday. It was the fourth time the sales rate has dropped in the past six months. New home sales are just 2.9 percent above August’s pace of 275,000 units — the lowest level on records dating back to 1963. Many economists believe it could take three years for the industry to get back to a healthy annual rate of sales of around 600,000 homes. The median price of a home sold in October dipped to $194,900, the lowest level since October 2003. Shop online, avoid the stores. Here are some great links to the best deals for Black Friday. Have you ordered your FREE BOOKS yet? Peel yams and apples. Cut yams into 1/2″ thick rounds. Core apples and then slice about as thick as the yams. Drizzle with oil and maple syrup. (I do a little heavier on the maple syrup than the oil). Dot with margarine or butter (if desired). Sprinkle with Cinnamon. Cover with tinfoil and bake 30-40 minutes, or until potatoes and apples are soft. Serve. Give the FREE Gift of Knowledge: [50 Simple Steps You Can Take To Disaster-Proof Your Finances(http://thinkglinkstore.com/paperback-books.html) and the REALLY Useful Guide to Working Smarter Not Harder. The books are FREE (and retail for $15 each) – you pay the S&H. If you want to buy 10 books or more, send an email to sam@thinkglink.com and he’ll work with you on a shipping discount. The books retail for $15 and you get them for FREE. That’s the best deal going. For Small Business Loans: SBA.gov Small Business Administration. Make sure you get your car financing ahead of time!! If you get 12 percent financing on a great new car deal, it’s not a real deal. I’ll be filling in for Clark the rest of this week, so tune in! Thanks, Bill. I’ll fix it. Where is the Sweet Potato caserole recipe? ?